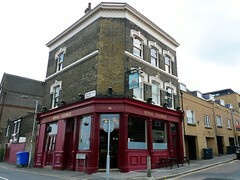 Samuel Smith's pub on the border of New Cross and Deptford. Last edited 2009-10-08 21:03:58 (version 5; diff). List all versions. Page last edited 2009-10-08 21:03:58 (version 5).